Bharti Airtel is talking to handset companies to launch 4G smartphones before Diwali. He can take the phone to the market for Rs 2,500, which will be bundled with data and voice minutes. Airtel will be able to challenge Reliance Jio, which has adopted similar strategy to increase the number of subscribers. 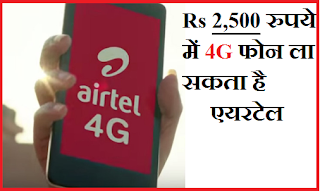 Airtel and handset company will promote the phone together, but Airtel will not provide any subsidy on that. The phone will be with the Android operating system, so that the user will be able to download all the apps from the Google Play Store. The talks between Airtel and Handset companies have reached the last round. Lava and Carbon sources said that in this connection, their separate interaction with Airtel is going on. A spokesperson for Airtel said, "We do not comment on market speculation." Carbon and Lava also did not respond to questions asked by email. Jio and Airtel's vision of data clients is now at 50 million feature phone users. These people use phones specifically for voice calls. These people can not afford expensive smartphones. Reliance Industries had recently announced to bring 4G VoLTE phones with Jio SIM for Rs 1,500. These 1,500 rupees will also be returned to the user after three years. 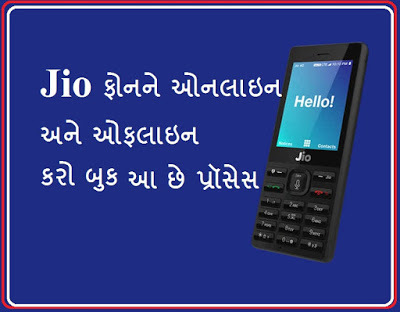 The company will provide unlimited voice and data at Rs 153. 0 Response to "Airtel Planning on Bringing 4g Phone in Rs 2500"